The release of this box set is really quite a special event. Covering composers from Monteverdi up through Pergolesi, its 50 discs bring back to market 30 years’ worth of classic recordings from the legendary Deutsche Grammophon label and its period-instrument imprint Archiv. Its list price comes out to roughly $2.50 per disc, but this is no flimsy, cheapo reissue box: the packaging is beautiful, the accompanying liner notes are extensive, and the recordings are some of the best ever made of this repertoire–performances led by John Eliot Gardiner, Trevor Pinnock, Marc Minkowski, Reinhard Goebel and others–and best of all, these aren’t excerpts either. There are complete operas by Monteverdi, Purcell, Rameau, and Handel, along with Monteverdi’s complete Vespers, Bach’s St. Matthew Passion and Mass in B Minor, the complete Messiah, full sets of concerti grossi by Corelli and Vivaldi, and much, much more. 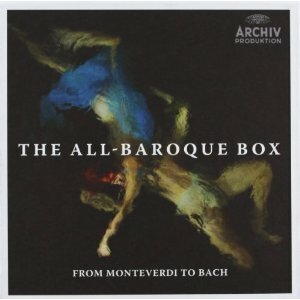 Some libraries will already own many of these recordings, but those with limited shelf space, smaller budgets, and demand for the core works of the baroque era should jump at the chance to buy this limited-edition box. Neither of the two pieces presented on this album (the F minor trio, no. 3, and the “Dumky” trio in E minor, no. 4) is an unfamiliar one–the “Dumky” trio, in particular, can fairly be characterized as a potboiler. 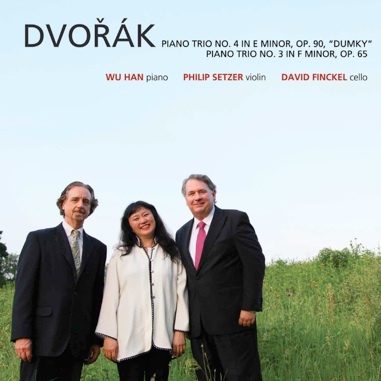 But pianist Wu Han, violonist Philip Setzer, and cellist David Finckel bring such passion and musicality to their interpretations of the romantic repertoire that they are able to make these pieces sound brand new. This is more than just virtuosity; their playing is insightful and their communication as a trio is nearly telepathic. Very highly recommended to all classical collections. This reissue is a bittersweet one; the album was recorded and originally released in 1998, just a few years before the death of lutenist Karl-Ernst Schöder in 2003. The music performed here remained, like the vast majority of Weiss’s compositions, in manuscript form and was never published. 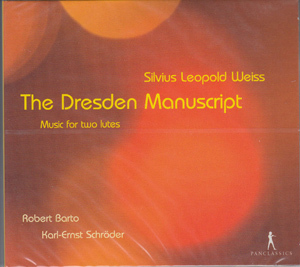 Weiss’s known surviving manuscripts are currently divided between the collections of the British Library and the Sächsische Landesbibliotek in Dresden, which is where these four duets are found. Each was reconstructed from a single part with figured accompaniment parts; the playing is excellent and the recorded sound is as well. 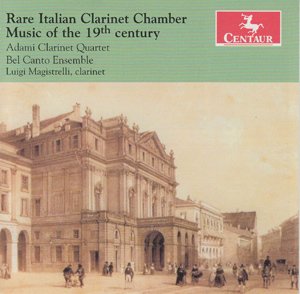 “Enchanting” is such a silly word, but it’s the best one to describe this collection of (mostly) world-premiere recordings of clarinet pieces from early-romantic Italy. There are works by relatively well-known composers like Saverio Mercadante and Ernesto Cavallini, alongside lesser-known pieces by Klosè, Panizza, Carulli, Gariboldi, and Rossi. Some are solo pieces, some for clarinet and piano, others for various combination of clarinet and other wind or stringed instruments. All are a delight. Never heard of Giovanni Paolo Colonna? You’re not alone, and this piece in particalar–a frankly ravishing example of late-Renaissance Italian choral music–has never been recorded before. 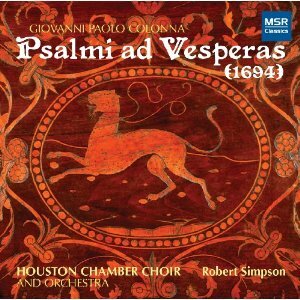 It’s a product of Bologna but will appeal immediately to fans of Venetian masters like Gabrieli and Monteverdi, and is performed with glowing warmth by the Houston Chamber Choir and its orchestra. Where the Venetians tend to go for polychoral majesty and large orchestral forces (with all those cascading brass parts), Colonna tends towards a more intimate, but ultimately no less glorious sound. 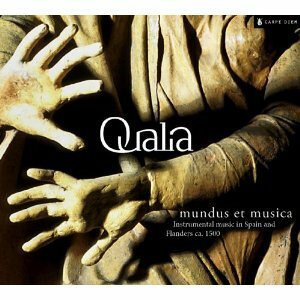 This is a wonderful, wonderful album and should find a home in every early music collection. 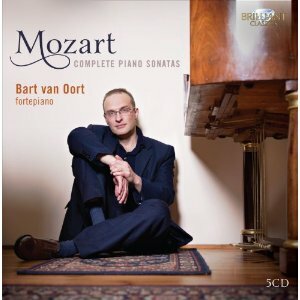 In 2006, fortepianist Bart van Oort released a 14-disc boxed set of Mozart’s complete keyboard works. This year, his label reissues a 5-disc box containing just the complete sonatas. Those libraries with an interest in period-instrument performance (and which haven’t already acquired the earlier box) will want to give this excerpt serious consideration–van Oort is a first-rate player, and these pieces absolutely sparkle when played sensitively on an instrument like the one for which they were written. The box includes a rather skimpy (though informative) booklet, but more extensive liner notes are available on the Brilliant Classics website. 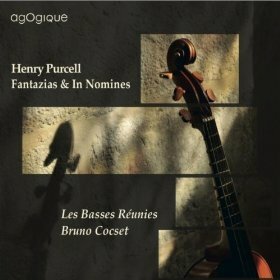 Henry Purcell’s operas and sacred choral works are justly praised, but there is something particularly special about his chamber works for viol consort. Maybe it’s the fact that these compositions mark the end of the tradition of English writing for that ensemble; maybe it’s just that the instrumentation lent itself to the expression of a rich melancholy that couldn’t be conveyed as well by warbling dramatic sopranos or choirs of massed voices. Maybe it’s the harmonic adventurousness that Purcell was able to indulge, given that he never had any apparent intention of publishing these pieces. Whatever the explanation, these are quietly glorious works and are interpreted beautifully by the French ensemble Les Basses Réunies. Qualia is a trio consisting of Renaissance fiddler Anna Danilevskaia, organettist Christophe Deslignes, and recorder/cornetto player Lambert Colson. On this strange and astringently lovely disc they perform a variety of pieces by 15th-century composers familiar (Brumel, Agricola) and relatively obscure (Tinctoris, Loyset Compère, Benito), all taken from the Segovia Codex. These are mostly melodies of popular songs with additional voices added later by other composers, and all partake of that vinegary, open-voiced early polyphonic sound that is the hallmark of the period. This may not be an essential purchase for every collection, but it’s a wonderful recording. Originally released in 1983, this brilliant album offers four arrangements for horn ensemble of fantasy medleys drawn from four of Wagner’s greatest operas: Lohengrin, Das Rheingold, Siegfried, and Tristan und Isolde. 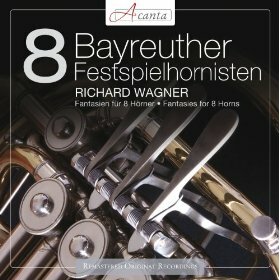 Those who find Wagner’s music overly bombastic will have an easier time recognizing his unbelievable melodic genius in these arrangements, and the playing by the Bayreuth Orchestra’s horn section is simultaneously glistening and warm. This is glorious music arranged for an ensemble of fiendishly difficult instruments, and the musicians make it sound both effortless and richly deep. 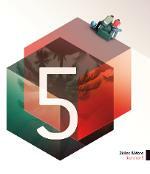 Highly recommended to all collections. 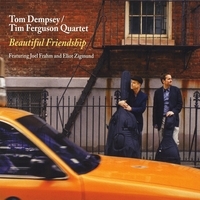 On this wonderful album, bassist Tim Ferguson and guitarist Tom Dempsey co-lead a quartet that also includes saxophonist Joel Frahm and drummer Eliot Zigmund. They play a blend of original compositions and standards, though the latter tend to be refreshingly unfamiliar: the Randy Weston composition “Little Niles,” Thelonious Monk’s “Coming on the Hudson,” and a couple of other older tunes that will be new (or newish) to many ears. But the fact is, it doesn’t seem to matter what these guys play: no matter the tune, they swing, strut, and bluesily moan with both assurance and supple grace. Their ensemble sound is spare and tight, the solos inventive and colorful. Very highly recommended to all jazz collections. Now, to be honest, this is not an album I would probably listen to for pleasure–personally, I prefer Ellington’s earlier work, back when his arrangements had to conform to the time limits imposed by 78-rpm shellac discs. 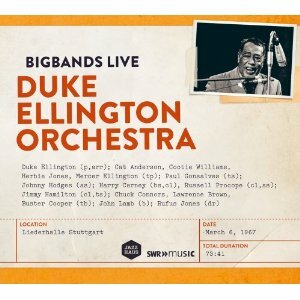 By 1967, when this previously-unreleased concert was performed at the Liederhalle in Stuttgart, Ellington’s compositions were set pieces, most of them over five carefully-composed minutes in length. But as a jazz document, this performance is both important and impressive, and very well recorded. Comprehensive jazz collections should not hesitate to add it. Jazz? Well, sort of. The Pulsar Trio consists of sitarist Matyas Volter, pianist Beate Wein, and drummer Aaron Christ, and if at first blush that instrumentation makes you roll your eyes, give it a chance. Too many world-jazz fusion experiments do founder on the rocky shoals of multicultural good intentions, but this one succeeds largely because it doesn’t try to be a world-jazz fusion experiment: the sitar is used not to inject Indian sounds into a jazz context, but to bring a new and unusual instrumental texture to jazz–and jazz of a rather strange kind. If it ends up sounding just a bit thin and sometimes a little bit underwritten, there are still lots of fascinating and enjoyable moments here. The piano writing is particularly impressive. 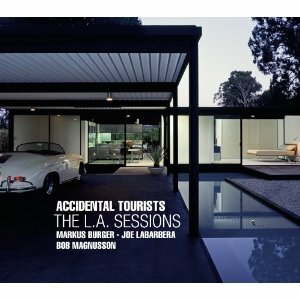 Accidental Tourists is the name of a new (and hopefully ongoing) project organized by pianist Markus Burger; the idea is that he’ll invite a different dream-team rhythm section to join him for each recording. This inaugural album features bassist Bob Magnusson and drummer Joe LaBarbera (a dream team indeed), and the program consists of mostly Burger originals with a few standards thrown in as well. The standards include a lovely and limpid version of “I Loves You Porgy” and the Bill Evans classic “Blue in Green,” but it’s the originals that shine the brightest on this very fine disc. Recommended. As a matter of general principle, I prefer my jazz to be tight, straight-ahead, and boppish. 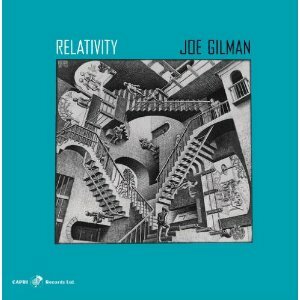 But saxophonist and composer Joe Gilman has a style of discursive and impressionistic jazz that works really well for me. Maybe it’s because this set of compositions is based on ideas generated by the artist M.C. Escher, whose work is built on tessellations, polyhedrons, and other mathematically-structured concepts; or maybe it’s just that Gilman is such a consistently inventive and interesting player. In any case, this disc would make a great addition to any jazz collection. 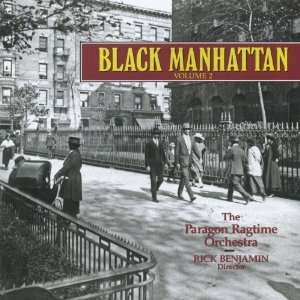 This is the second in the Paragon Ragtime Orchestra’s series of tributes to African-American composers of the late 18th and early 19th centuries, and it includes “music from the theater, ballroom, and recital stage”–that is to say, we get overtures, waltzes, music-hall songs, and orchestral rags by the likes of Eubie Blake, Scott Joplin, Will H. Dixon, James Reese Europe, and W.C. Handy. Many of the selections presented here have never been recorded before, and all are played on period instruments from original orchestrations. Like everything the Paragons do, this album is a must-own for any library collecting in historical American vernacular music. 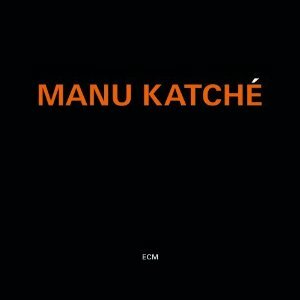 Drummer/pianist/composer Manu Katché’s fourth album as a leader for the ECM label finds him continuing to develop his unique writing and arranging style, producing ten breathtakingly lovely original compositions featuring trumpeter Nils Petter Molvaer, saxophonist Tore Brunborg, and keyboardist Jim Watson. Katché’s approach sounds deceptively open and impressionistic, but listen carefully and you’ll hear the careful structure that binds it all together. 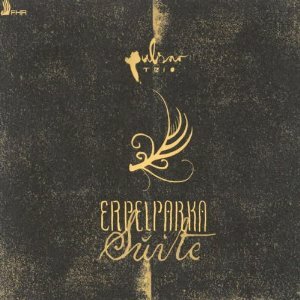 This is one of those albums that rewards both deep and casual listening, and it’s strongly recommended to all libraries. 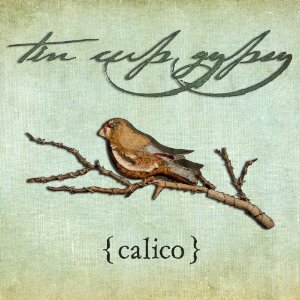 Invoking sounds that range from 70s folk-pop to Tin Pan Alley with hints of early country and jazzy cowboy swing thrown in, Tin Cup Gypsy burst onto the scene last year with this very impressive debut album. Their sound is acoustic-based but not strictly acoustic; the sonic focus is on the group’s clear, powerful voices and tight harmonies. Great arrangements, sharp hooks, and wonderful voices add up to a world-class first effort from this young band. 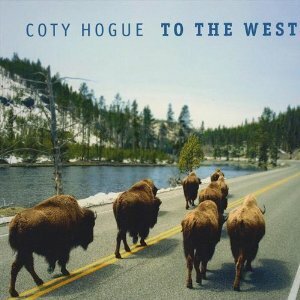 This album would have gotten a “Rick’s Pick” designation based on the title track alone–one of the most affecting folksongs ever written, which Coty Hogue makes sound as if it were written specifically for her voice and her clawhammer banjo. But there are other treasures here as well: her stark and reedy rendition of the a capella ballad “Shiloh’s Hill,” a darkly lovely version of Ola Belle Reed’s “Undone in Sorrow,” a gently swinging take on the Bob Wills classic “Sugar Moon.” Then there are her original songs, affectionate remembrances of her family and her Montana hometown. This disc would make an excellent addition to any folk collection. 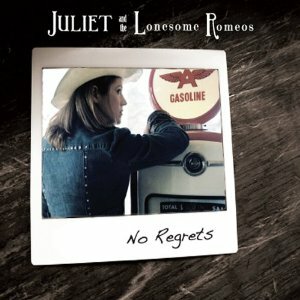 Boston may not be the first city that comes to mind when you think about gritty, soulful country-rock music, but this debut album from singer-songwriter Juliet Simmons Dinallo and her band might be enough to change that. Her voice (which at times comes close to the rough-edged operatic beauty of a young Maria McKee) is the star of the show, but the band’s loose-limbed power is an essential element of this album’s success. A couple of tracks (notably the minimalist “Winter Night”) feel a bit less than fully realized, but there’s no question about this group’s tremendous potential. 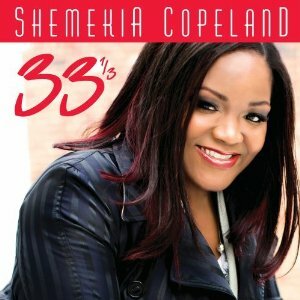 In 2011 Shemekia Copeland was formally crowned “Queen of the Blues” at the annual Chicago Blues Festival. At the end of 2012 she released an album that shows her to be more than that: she’s also the queen of vintage soul (covering Sam Cooke’s “Ain’t That Good News”) and of Bob Dylan cover artists (“I’ll Be Your Baby Tonight”). Of course, most of the album consists of classic blues songs both old and new, and even the covers are distinctly bluesy. Her voice is a consistent delight, and Copeland’s growing legion of fans will not be disappointed. A guy who writes songs with titles like “At Least I’m Not a Musician” and “Despair’s Moustache” is starting off on the wrong foot with me, I’m afraid. The best way to get back into my good graces is not with hipster irony or self-conscious cleverness, but with hooks, and lots of them. 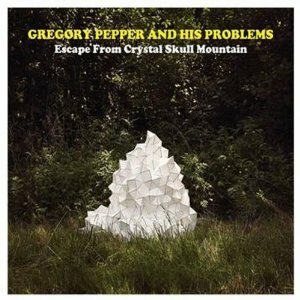 It’s a testament to Gregory Pepper’s way with a hook that by the end of this album’s third track, I’ve forgotten all about the chicken-bone necklace he’s wearing on the album photo–and about the hipster irony and self-conscious cleverness with which his songs are rife. Well played, my friend. 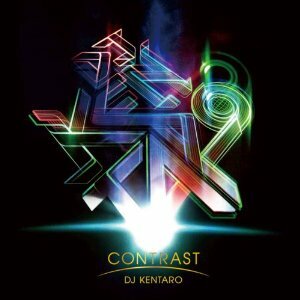 Internationally-celebrated turntablist DJ Kentaro returns with his second album five years after his 2007 debut, which hit #1 on the indie charts in his native Japan. Where his first album tended strongly towards jungle and drum’n’bass, this one has more of a lurching, dubsteppy feel (with plenty of double-time jungle breakbeats thrown in as well) and cameo appearances by hip hop MCs Foreign Beggars, MC Zulu, and others. There’s also some very fine reggae-inflected speed rap from Fire Ball, and even some glitchy drill’n’bass. It’s all pretty exhausting, but in a good way. For just over a decade now, the I Grade label has been documenting the surprisingly strong reggae scene in the Virgin Islands. 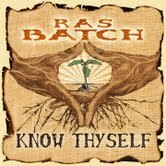 The latest product of that scene is this exceptionally fine album from conscious-reggae crooner Ras Batch. Singing in a smooth tenor voice that gently conveys powerful messages of spiritual uplift, Ras Batch is supported here by an all-star cast of session players that includes such legends as Earl “Chinna” Smith, Leroy “Horsemouth” Wallace, and saxophonist Dean Fraser. If you have patrons who miss the glory days of 1970s roots-and-culture reggae music, then jump at the chance to acquire this excellent album. Arabic-Judeo-jazz fusion may not sound, at first blush, like the greatest idea in the world. But saxophonist David El-Malek makes a pretty strong argument in favor of just such an endeavor with this album. 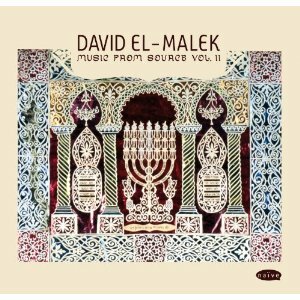 Leading an ensemble of ten Jewish and Arab musicians playing a variety of Western and Middle Eastern instruments, he weaves a musical tapestry that incorporates stylistic threads from all over the region and includes a stirring four-part arrangement of Psalm 150. This disc is good enough to make me wonder how I managed to miss the first volume. 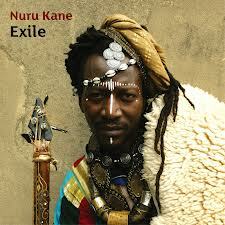 Originally from Senegal, singer and multi-instrumentalist Nuru Kane draws on musical influences from a longstanding and wide-ranging exile in Morocco, France, and London. Those familiar with the varieties of African musical experience will recognize strong influences from the gnawa tradition of Morocco, but hints of flamenco and reggae rhythms also peek through from time to time, as do touches of Delta blues. The sound is generally repetitive and sometimes downright trance-inducing, but also complex enough to justify very close listening. Very nice.